The Inspector-General of Police, Alhaji Ibrahim Idris, has enjoined officers and men of the Nigeria Police Force to rededicate themselves to their constitutional duty of protecting lives and property of Nigerians and foreigners resident in the country. Idris also called for diligence among the personnel even in the face of “undue hostility and unwarranted criticism of members of the force and its leadership by a spectrum of the Nigerian society in recent times”. He made the call at a get-together organised by the family and friends of a Cadet Inspector, Mr Idris Baba-Mohammed, at the Bida campus of the Niger Polytechnic, over his recent successful passing out and Presidential Commissioning from the force. Represented at the occasion by the Commissioner of Police in the state, Mr Dibal Yakadi, the inspector-general described police job as one of the best jobs in the world. He, however, said that the job could also be hazardous, sometimes. He further said if the officers and men of the force, including the celebrator, were genuinely busy protecting lives and property of other people in the larger society without getting involved in unwholesome practices, God would also bless and protect such members and their families. Idris, therefore, advised the celebrator, including officers and men of the force, to further rededicate themselves in the service of their fatherland, exhibit discipline, be upright in their official conduct and obey lawful orders. “ You should always be courageous, prayerful, shun unwholesome acts capable of tarnishing your names, families and that of the Nigeria Police. He stressed that if all the instructions were properly observed, they would get to the peak of their career, just as he warned the commissioned cadet to remain focused and make up his mind not to be influenced negatively by worldly things. The father of the celebrator, Alhaji Mohammed Baba Busu, a journalist with the News Agency of Nigeria (NAN), now Media Aide to the inspector-general, expressed gratitude to God over his son’s enlistment into the force and the officer’s successful completion of his training. Baba Busu also cautioned the cadet officer against acts of indiscipline, capable of bringing shame to his family and the Busu community, the force and the nation. He asked the celebrator to imbibe the ideals of successful, upright and patriotic senior members of the force and should always remember national interest in critical decisions concerning his career in the force. The celebrator, Baba-Mohammed, said he was the happiest person on earth for actualising his dream of becoming a Police Officer, adding that it was a dream come true. “I will always live up to expectation and I will never get involved in anything capable of bringing shame to my parents, the Nigeria Police Force and the nation throughout my period in the force. 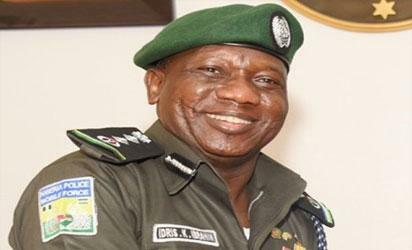 The post IGP asks police personnel to observe constitutional roles of life protection appeared first on Vanguard News.